Over the past several years of using a self-hosted WordPress website, I have read many articles on “Must have” plugins for WordPress. There have been many great plugins in the past and the purpose of this article is to share an updated list of the 6 most important plugins that I use and the ones that you cannot live without. So let us begin with the most important plugin of all: Askismet. Now here is a plugin you do not have to search for. 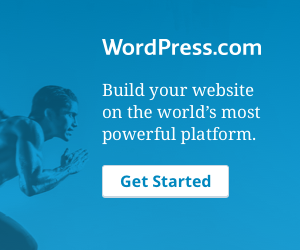 Askismet is automatically installed with every new installation of WordPress. It is your tool for fighting comments spam and I have to say it is the best plugin I have ever used for spam reduction. I have used many other plugins before but Askismet is the best one. In order to use this plugin you have to setup an account with WordPress.com. The reason for this is to get your API key which links you to the Askismet database. It only takes a few minutes to do this and your self-hosted WordPress is protected from spam. I do not know how I lived without this plugin, but once I learned about it and installed it I knew I could not live without it. Jetpack by WordPress.com is perhaps one of the best plugins you can add to your self-hosted WordPress website. It provides many of the services found at WordPress.com in one simple plugin. This plugin will give you website stats, threaded commenting, social media sharing options, Spelling and Grammar and so much more. It is a feature rich plugin which, like Askismet, also requires that you have a WordPress.com account setup. Again this only takes a few minutes to setup, but once it is done, you have a plethora of tools at your disposal. Click here to learn more about Jetpack at WordPress.org. Google XML Sitemaps is a plugin that builds a sitemap for you and then lets search engines know when you’ve made updates to your site. It is a good tool to have if you plan on using Google Webmaster tools, but it also guides web crawlers with indexing your website. Click here to read more about it. Anyone that has built a website cannot tell you the importance of making a backup of you site. There are many plugins out there that will backup your database or your files or both. Online Backup for WordPress is a very simple plugin to use. It has the option to do a full backup of your website as well as your database. Optionally, you can backup only the files or only the database. What is great about this plugin is that it also allows you to do an online backup with Backup Technology’s secure data centres with 100 MB free of online storage. Read more about it here. Oh, if you prefer to use Vaultpress which comes with Jetpack, then you get a similar service for a premium price. You can learn more about Vaultpress at their website or read more about it in the Jetpack plugin. WordPress is a great tool to build an SEO website, but with the plugin WordPress SEO by Yoast it is even better. You get more control over the SEO aspects of your website and the plugin also comes with additional features which you don’t have to turn on, but are optional. One thing I like about this plugin is that you can type a post and then check your SEO on the page. You can do a page analysis and get an alert if there is an issue with your SEO. Although there are other great plugins out there like All-in-One SEO, WordPress SEO by Yoast is well worth checking out. Read more about it here. A fast loading website is important. WP-Super Cache is a plugin that generates static HTML files from your dynamic website in order to speed up your site. Since WordPress is php based, pages must be generated by your web server. This process can slow things down, that is why WP-Super Cache can improve the loading of your site. You can learn more about the technical details on how the plugin works at the plugin download page here. There are many useful plugins in the WordPress Plugin Repository and the few that I have listed above will work wonders for your website. Even if your website is setup for a specific niche and it may require other plugins not listed above, these 6 plugins are a must have. Now go try them out and if you have some great plugins that work well for you, feel free to share them in the comments below. In June 2012 I discovered Yoast’s WordPress SEO and loved its interface began using it. In July 2012 I noticed that my clean SERP Titles had become mangled because of Yoast’s WordPress SEO. See one example of my Yoast mangled SERP listing below for a blog post. Mamiya 135 EE – A great little camera for $10What is a Film Camera? I couldn’t find help on Yoast’s user’s forums, questions weren’t answered, so I deactivated Yoast’s plugin and used All in One SEO. Its interface isn’t as good as Yoast’s WordPress SEO plugin but returning to All In One SEO cleaned up my SERP listings. See the clean SERP listing below. I analyzed this whole problem with a 4 page MS Word document. For me, Yoast’s WordPress SEO was a great interface but it mangled my SERP listings (most likely reducing CTRs). If you send me an email I’d be glad to send you my Yoast WordPress SEO problem notes. I love Yoast’s interface but I just can’t afford to have mangled SERP snippets. Thank you Richard for your comment. It actually sounds like you needed to modify your settings under the “Titles & Metas” section of the plugin and then the “Post Types” tab. This setting changes the way you titles are displayed globally throughout your site. But the great thing about Yoast’s SEO plugin is that you can also customize each post individually overwriting the global settings. Typically you will have an SEO box below your post editor to give you further SEO options. With that said, you comment did cause me to do some research between Yoast’s SEO plugin vs the All-in-One SEO plugin. I will have to write a review about these 2 plugins, but essentially All-in-One sets all your titles automatically with little configuration while Yoast’s SEO plugin has more features and may require some customization of the settings to get it to display the way you want it. It’s great for people that like more control over their SEO, but for most people that want a quick solution without having to look at the settings much, All-in-One will do it quickly. Anyway, I will follow up with a review article that may provide more useful information about this. Thanks again for ready my article.